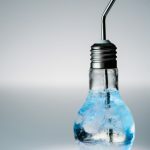 As we cannot live without our credit cards, not all credit cards are created equally. With a huge choice of different options and perks, it can be daunting to find the best one that is suited for you. But beyond earning points for travel awards, if you are like us and love to be treated like a VIP at events around the world, Chase Sapphire offers those extra perks only available to card members. 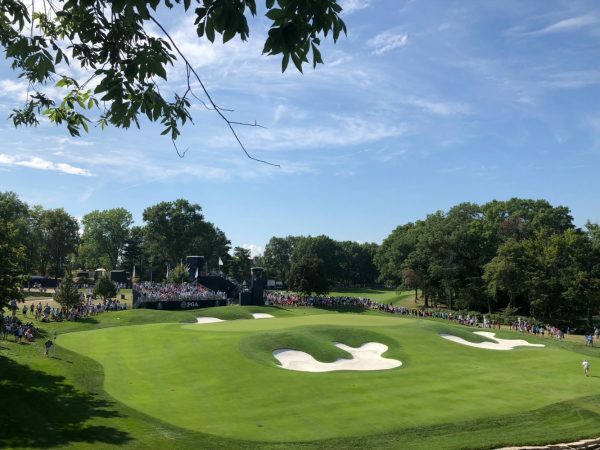 On a recent trip to the 100th PGA Championship at Bellerive Country Club in St. Louis with Chase Sapphire we were able to experience the Chase Sapphire Cardmember Club and Hospitality Chalet. And membership does have its perks. 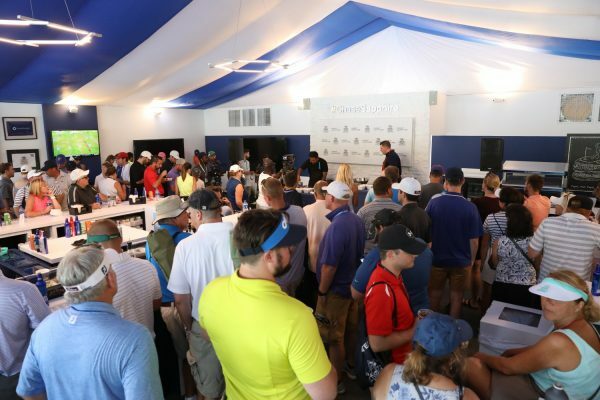 For an elevated PGA experience, we were privy to the various Chase Sapphire cardmember packages including the chalet, grounds tickets and special gourmet dining experiences including an intimate tasting dinner at Mediterranean hotspot Elaia. 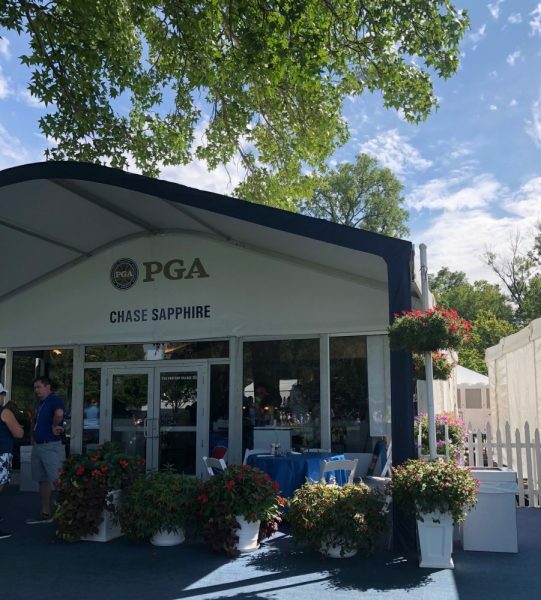 For the ultimate VIP experience, Sapphire cardmembers could buy packages with access to the hospitality chalet in the PGA Partner Village that offered an open bar and complementary gourmet food with reserved outdoor seating overlooking Hole 10. 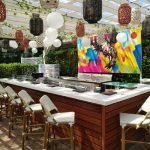 While the Chase Sapphire Cardmember Club was open to all Chase Sapphire card holders who could enjoy a private hospitality space with bathrooms, a premium view with seating, air conditioning, special chef demos, wine tastings and complimentary non alcoholic beverages. 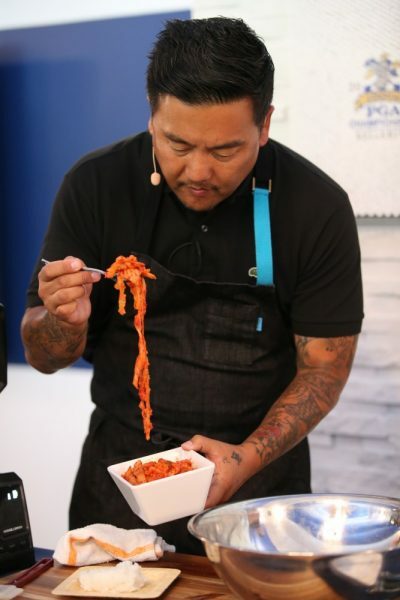 While the world’s best golfers were competing with one another we got to experience a culinary match up between celebrated chefs Roy Choi and Joe Flamm. But the Chase Sapphire cardmember perks don’t stop there. This September and October, Chase Sapphire presents The Seaport Food Lab—the Seaport District’s experiential hub for today’s leading culinary visionaries—back for its second year with an all female lineup of chefs. This year features the skills of pioneering women chefs from across the world, ranging from butchery to baking. 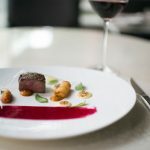 Eight resident chefs will participate in hosting a series of gastronomic exhibitions over the course of six weeks, each telling their unique story about the contributions they have made through varying culinary innovations and techniques. 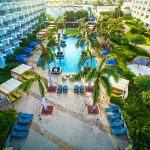 Chase Sapphire is always looking to inspire the inner culinary explorer in all of us with a series of dining programs that offer access to unique and exclusive epicurean experiences. In addition to giving consumers the chance to get a taste of today’s most innovative chefs, the Seaport Food Lab will also provide its all-star roster of female chefs a platform to experiment with one-of-a-kind creations and explore their culinary vision. Nancy Silverton (September 11-16)– Co-owner of Pizzeria and Osteria Mozza in LA and Newport Beach, as well as Mozza2Go and Chi Spacca in LA, Nancy came on the culinary scene in the 1980’s, and quickly rised through the ranks. In 2014, she received the highest honor given by the James Beard Foundation for “Outstanding Chef” as well as one of the “Most Innovative Women in Food and Drink” by Fortune and Food & Wine magazines. At the Seaport Food Lab, Nancy will thrill guests with a preview of Osteria Mozza. 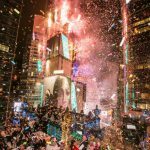 Erika Nakamura & Joceyln Guest (September 25-30) – In 2016, Erika and Jocelyn teamed up with Chef April Bloomfield to open White Gold Butchers in the Upper West Side of Manhattan. A driving force in the art of butchery, White Gold Butchers received a two-star review from The New York Times,along with several more culinary accolades for their nose-to-tail artistry. Today, Erika and Jocelyn are building a sausage and deli meats consumer brand, J&E SmallGoods, which aims to bring delicious and responsibly raised and produced meat products to supermarkets nationwide. They’ll highlight a whole beef tasting with butcher demos during their residency at Seaport Food Lab. Rosio Sanchez (October 2-7) – Co-owner and founder of Hija de Sanchez, and the eponymous Sanchez, Chicago born and raised Rosio Sanchez grew up eating the Mexican food of her heritage. She began cooking professionally at 19 and worked with some of America’s most respected chefs, including Wylie Dufresne at wd-50, before moving to Copenhagen, Denmark, where she worked alongside René Redzepi at the internationally acclaimed restaurant noma. In 2015, Rosio left noma to connect with her Mexican roots and opened Hija de Sanchez, a taqueria located in Copenhagen’s Torvehallerne Market. Earlier this year, Hija de Sanchez was voted Best Street Food in Europe, and Sanchez was recognised as Best New Restaurant in Copenhagen. 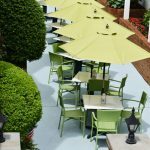 Rosio will showcase a taste of Sanchez and her personal take on Mexican cuisine. 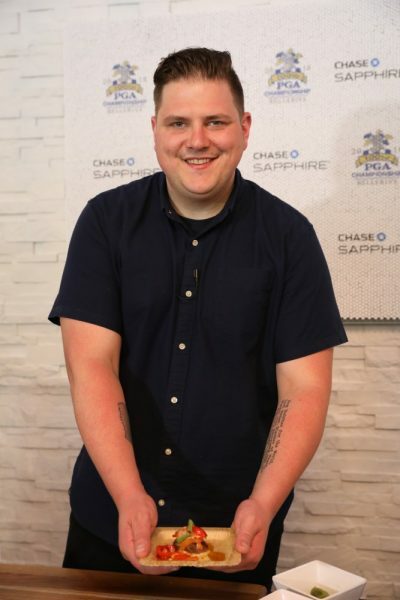 Caitlin McMillan & Camille Cogswell (October 9-14) – The rising stars at critically acclaimed Philadelphia-based restaurant group CookNSolo, Caitlin joined the kitchen at Zahav in 2014 as a line cook, where she was fast-promoted to Sous Chef within her first year. In 2017, Caitlin opened CookNSolo’s newest concept Goldie as the Executive Chef, where she was named an Eater Young Gun recipient. Starting her career at The NoMad, Camille relocated to Philadelphia in 2015 to helm the pastry program at Zahav. This year, Camille was named the 2018 “Rising Star Chef” from the James Beard Foundation, becoming only the second pastry chef to be given the honor. While at the Seaport Food Lab, Caitlin and Camille will debut a sampling of Zahav. 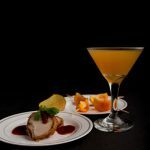 Ashley Christensen (October 16-21) – Putting Raleigh, NC on the culinary map, Ashley was awarded with “Chef of the Year” by Eater in 2017 and was a James Beard Foundation “Outstanding Chef” award finalist in 2018. Founder of AC Restaurants including favorites such as Death & Taxes, Chuck’s and Poole’s Diner, Ashley is best known for her comfort-food classics, re-imagined through a philosophy of locally grown, seasonal techniques. During Ashley’s residency, she’ll be expanding upon the Southern American restaurant of her first restaurant, Poole’s Diner.